Our take on an eSports capable custom PC – ready to game from a sub $1000 price point, yet flexible enough to push the limits with unlimited customization. 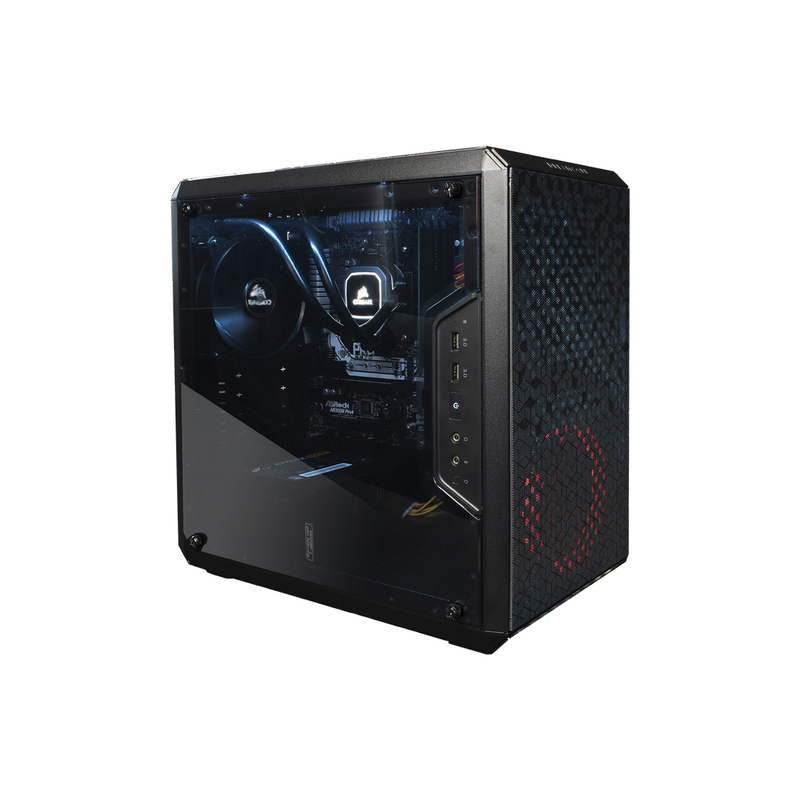 Perfect for those looking for an entry level PC. We’re running limited time discounts on ALL RTX Graphics Cards – enjoy next generation features like ray tracing and DLSS at massive discounts! All Dreamcore custom PCs enjoy a FREE copy of Call of Duty: Black Ops 4 (worth USD59.99), redeemable by Intel Master Key! Learn more about these promotions ending 28 Feb 2019 here. Pro tip: For all K-series Intel chips (i5-8600K, i7-8700K), make sure to choose a high performance CPU cooler, like the Cryorig M9 or better! Pro tip: Make sure you select the correct motherboard! Intel CPUs need to be paired with Intel motherboards, and AMD CPUs need to be paired with AMD motherboards! Pro tip: Most premium air coolers perform better than 120 AIO water cooling setups. They also last longer and are less prone to failure. Pro Tip: Not all motherboards can overclock memory! Only Intel Z series boards and AM4 boards can overclock memory. H310 and B360 boards will run all memory at stock 2666Mhz. Pro tip: All Dreamcore Custom PCs now come with a FSP Hyper K 600W PSU by default! Pro top: Primary SSDs are by default M.2 variants. Remember - M.2 doesn't mean faster! Pro Tip: You will receive a Certificate of Authenticity (COA) with every copy of Windows purchased from us. This means that you can be assured your Microsoft licenses are genuine and purchased through authorized local distribution channels. 1) Vendors who do not include the COA with your PC, as they have purchased stolen or unauthorized licenses. 2) Vendors who simply advertise "Windows 10" with no indication of version (Home or Pro). 3) Vendors who advertise abnormally low prices due to the use of illegal licenses. Transform your case's ambiance with Dreamcore Glow. Perfectly synced RGB lighting. Pro Tip: FPS gamers tend to prize the high refresh rate 144Hz monitors, whilst creatives prize the colour rendition of IPS panels. Some prize both, and go for the stellar Acer X34P.